One of the greatest games to ever grace Sony’s PlayStation 4 – or any console, for that matter – is available to purchase right now as a physical hard copy for just $15. 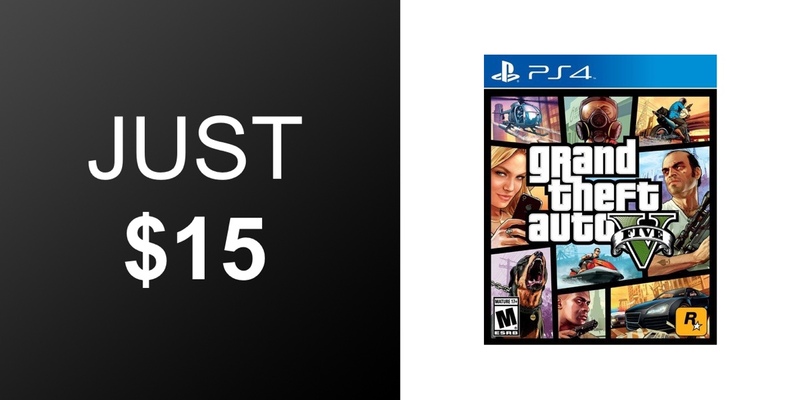 Rockstar’s masterpiece is one of the most iconic games of our generation making it an absolute steal at this price. Anyone who regularly consumes video games and who owns a gaming PC, Xbox One, or PlayStation 4 will likely need no introduction to the Grand Theft Auto universe. This isn’t a franchise that gets rebooted every twelve months with a new version in order to dilute the experience. In fact, Grand Theft Auto V was actually initially released for Sony’s PlayStation 3 and has been put through a few visual and immersive upgrades to make it even better on the PlayStation 4. Unlike other games like Call of Duty, Rockstar really takes its time and goes all out with its creations. And that really shows as far as Grand Theft Auto V is concerned. GTA V is an absolutely stunning example of a mission-based open world game that allows the gamer to complete structured missions in order to progress through the game or just explore the vast universe to their heart’s content if they prefer to just roam around and get into mischief along the way. If you do want to follow through the progress of the game, then you’ll find yourself exploring the stunning worlds of Los Santos and Blaine County with an array of technical upgrades and improvements to make this the most immersive experience yet on PlayStation 4. Improvements and upgrades to this PlayStation 4 experience include new weapons, additional vehicles, and new activities. Additional wildlife, denser traffic, an all-new foliage system, and even additional weather effects to make the whole experience seem a lot more lifelike. 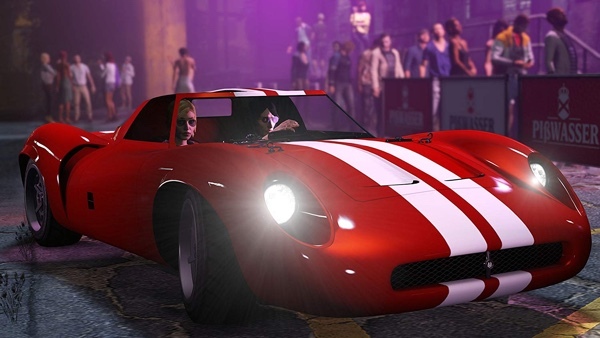 It also comes with the stunning Grand Theft Auto Online experience, which offers a dynamic and ever-evolving GTA universe for up to 30 players to create carnage. If you have ever wanted to rise through the ranks to be a criminal mastermind and CEO of a cities underbelly, then this is the game for you. Grab it right now at this ridiculously low price.